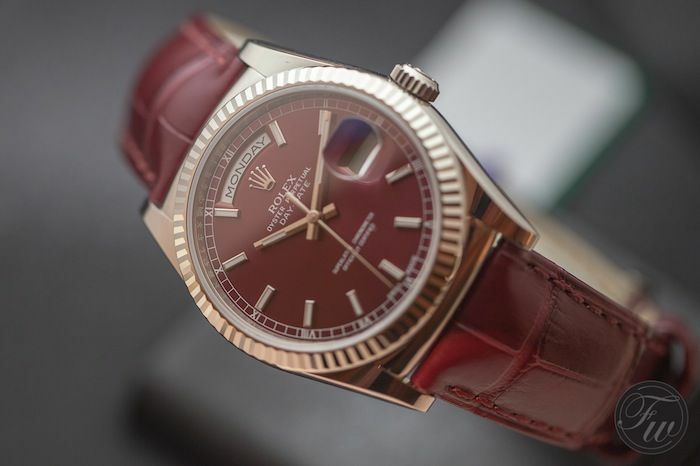 The watch that doesn’t need further introduction, the Rolex Day-Date. 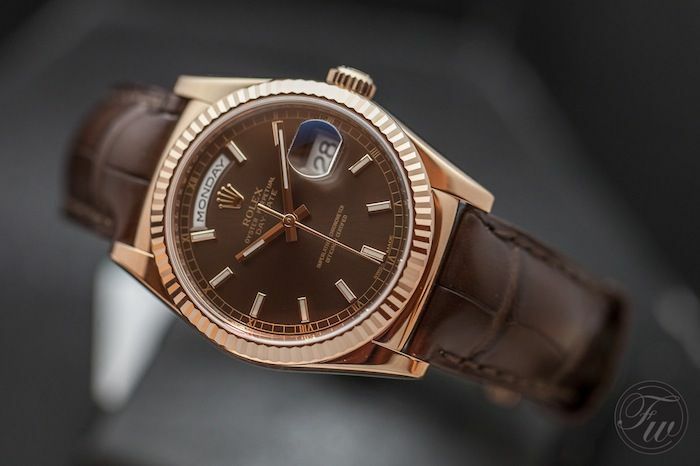 Introduced in 1956 as the first chronometer wristwatch that had a day and date complication. 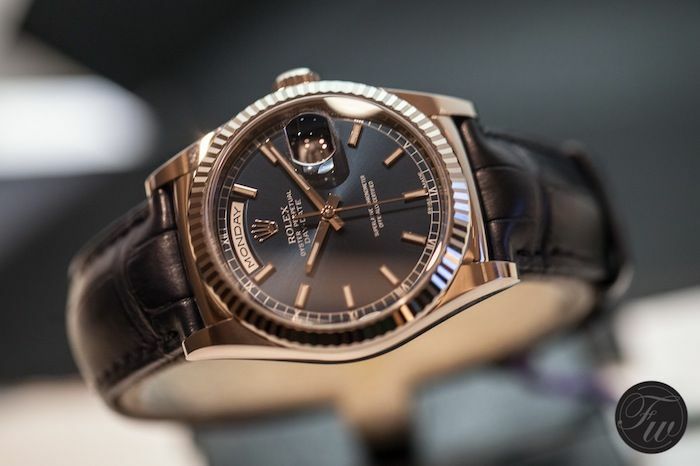 A classic timepiece from the start, that – in the meanwhile – has and had a lot of prominent owners. 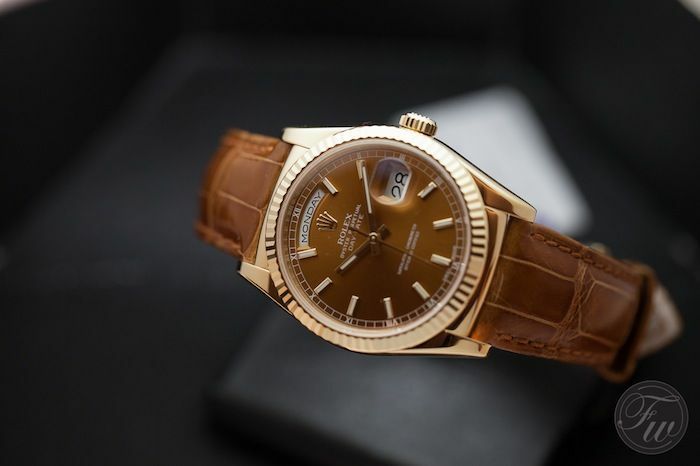 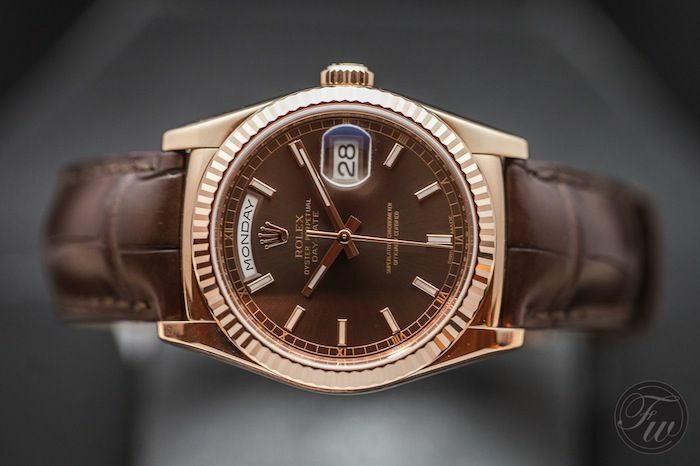 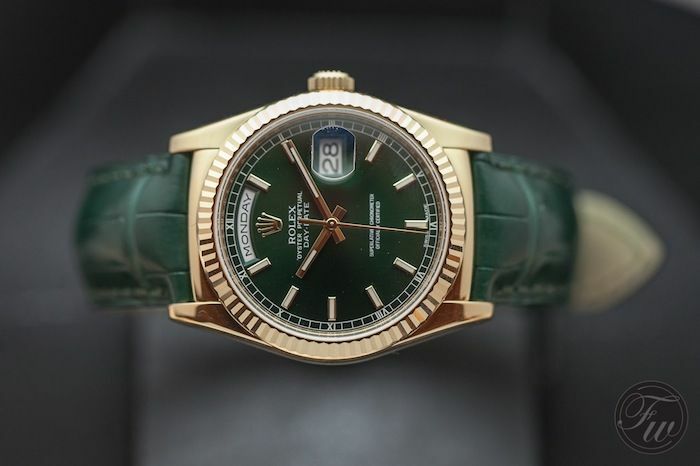 This year during the Baselworld 2013 exhibition, Rolex introduced a few new variations to their flagship collection, yellow, Everrose and white gold Day-Date models on a leather strap with the following dial colors: cognac (yellow gold), cherry (white or Everrose gold), chocolate (white or Everrose gold), green (yellow gold) and blue (white or Everrose gold). 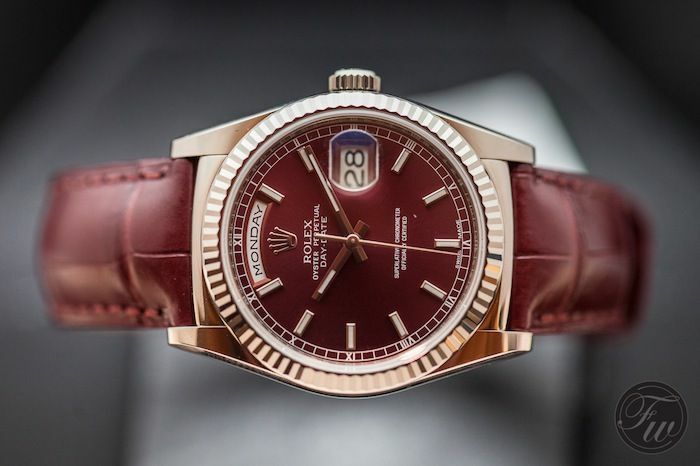 As written above, the new dial colors are cherry, cognac, chocolate, green and blue. 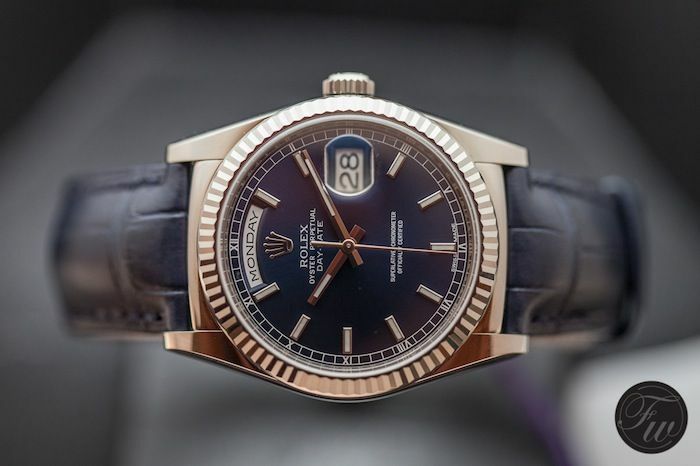 There is also one with a rhodium dial, pictured above. 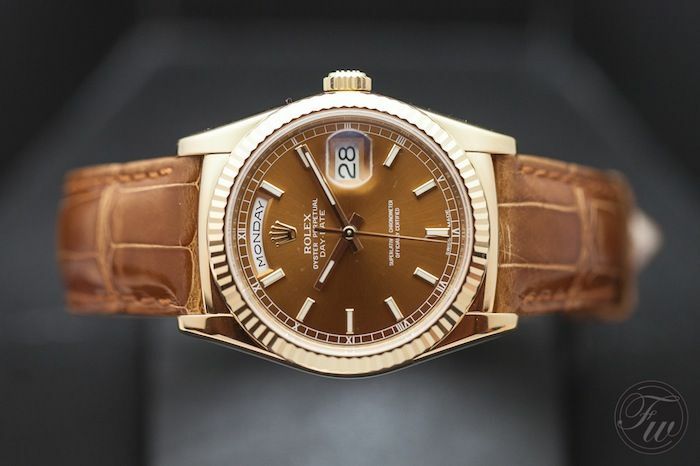 The yellow gold Day-Date versions have reference number 118138, the Everrose gold have reference number 118135 and the white gold versions are the 118139 models. 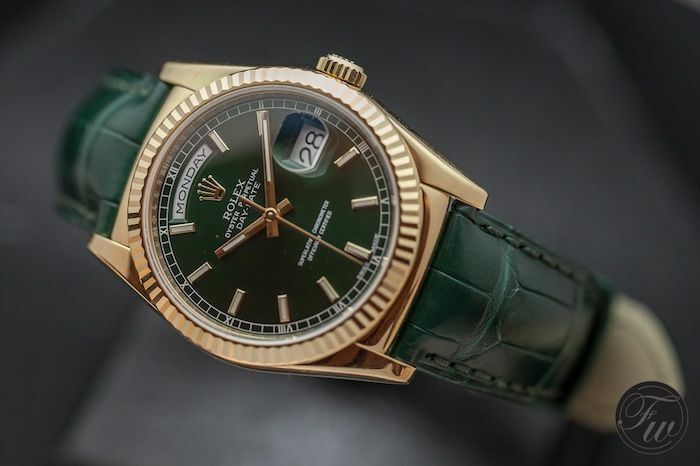 All come on a matching alligator strap with a folding clasp in 18 carat gold.